While traveling from Germany to France, Lisa Mills spoke about her schedule, some of her musical career, and her arrival back to the states to play for the lucky souls of the Gulf Coast. On April 20, starting at 6:30 p.m., at From The Ground Up Community Garden, 501 N Hayne St., Lisa Mills will serenade patrons under the stars with her unique blend of southern soul Americana gospel and blues. Residing in Mobile, Ala. and a native of Mississippi, Mills said she was influenced by her family and church growing up. She admitted that for entertainment, family members would have her perform at get-togethers. By the time she was in high school she started performing at a local Italian restaurant. Mills said recently she was reminded by an old high school friend, that when she performed there she was adamant about being a music star, although she laughed saying she had not remembered herself that serious back then. 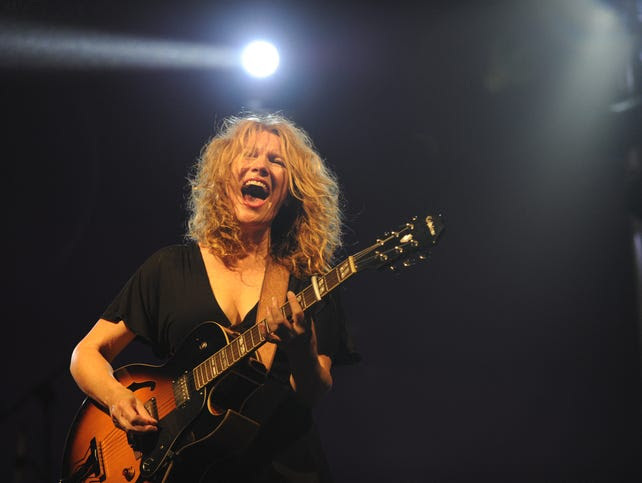 While on an extensive UK and Europe tour in 2016 she was asked to play at the France Blues Festival and landed a booking with a UK agency in London and Germany, completing a universally acclaimed overseas tour. Not bad for a girl from Mississippi, who doesn’t recall wanting to be a music sensation..
Mills has worked with Grammy-winning producer Trina Shoemaker and UK bassman Ian Jennings. Still not impressed? Visit her webpage, www.lisamills.com, to see a quote from legendary vocalist Robert Plant about her memorable voice. Mills returns to the states for a visit with friends and a performance in Charlottesville, Va. before making her way to the Gulf Coast. Tickets are $10 and can be purchased at the gate with cash or online at https://www.eventbrite.com/e/music-under-the-stars-in-from-the-ground-up-garden-with-lisa-mills-tickets-33211574714?aff=erelexpmlt. Be sure to bring a lawn chair and cooler with drinks, food will be available by Spyros’ Gyros. And like all the garden musical events, proceeds benefit From The Ground Up Community Garden and Dixon School of Arts. If you’re looking for country, gospel, soul, and blues influences come experience the charm of Lisa Mills and her guitar.